CBA_A3 updated to 1.1.21.150527 RC7 and ASDG Joint Rails updated to 0.16. Please update your game before Sunday’s game. PwS CiA profile updated and the A3Sync profile will be updated shortly. Forum thread. Please update RHS Escalation to 0.3.7. PwS and A3Sync CiA profiles shall be updated shortly. 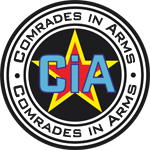 Several changes has been made in the CiA mod list. Please refer to this topic and update your mods accordingly. Guys, please install ACR for tomorrow’s game, and update CUP and ASDG Joint rails. CiA PWS and A3Sync profiles updated. For those who update manually, use the links above, make sure to use the ACR version that doesn’t include CUP pbo’s in it. Once again the Arma gods wants our sacrifice and we have to update our mods. Multiple are updated on the server, please update your clients for Thursday’s game (March 5th). PlayWithSix and A3Sync CiA profiles will be updated shortly. For full list and instructions please refer to this forum post. Etzu is a CiA Member!